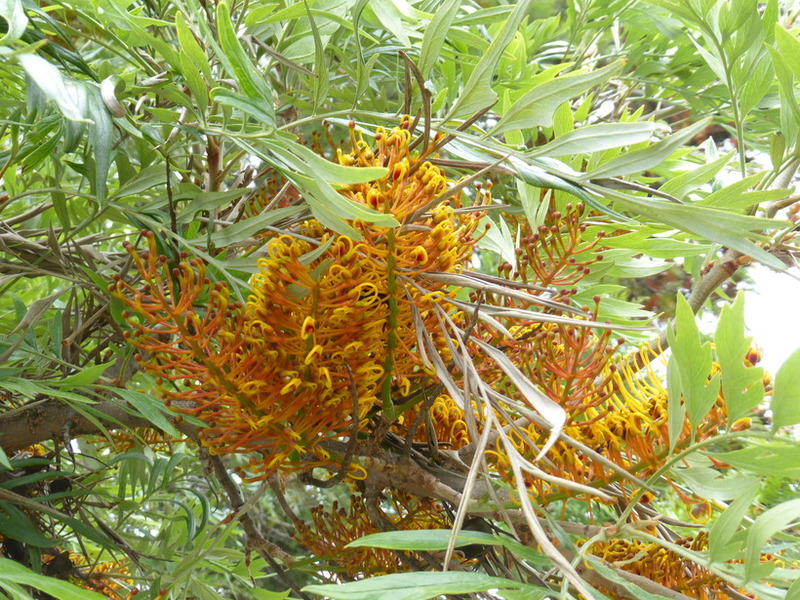 Grevillea robusta (silkoak) is a tree (family Proteaceae) with yellow-orange to brown flowers and finely dissected leaves found in the central and south coast ranges of California. It is native to eastern Australia. It favors grasslands and riparian and bottomland habitat. It spreads via seeds and root suckers. Its winged seeds are dispersed by wind.